Virat Kohli top scored for India with 47. 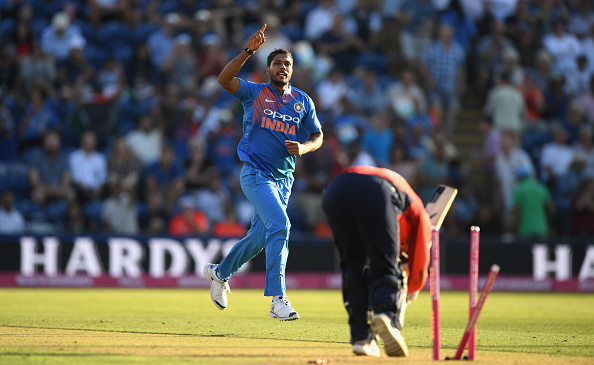 India and England met in the second T20I of the three-match series at the Sophia Gardens in Cardiff. India had a 1-0 lead going into this match after they had won the first match in Manchester by 8 wickets. Eoin Morgan won the toss and chose to bowl first. England gave a T20I debut to Jake Ball, who came into the playing XI in place of Moeen Ali. India went unchanged in the match, trusting the match-winning combination of the first match. England bowlers took the full advantage of the newly laid strip at Cardiff which had a layer of grass on it. Rohit Sharma (5) was out to a poor choice of pull shot to give Jake Ball his first wicket in T20Is. Shikhar Dhawan decided to run himself out as he didn’t ground his bat and was back in the pavilion for 10. KL Rahul (6) seemed to be in his Manchester innings mode and swashed at a straight one from Plunkett, only to lose his off stump. Suresh Raina (27) and Virat Kohli (47 off 38 balls) added 52 runs for the 4th wicket before Raina was stumped for the first time in T20s off Rashid. MS Dhoni walked out in his 500th international game for India and scored a brilliant 32* off 24 balls with 5 fours, as Virat perished for 47 off Willey. Jake Ball gave away 22 runs in the 20th over to take India to 148/5, a much competitive total than many would have thought of. 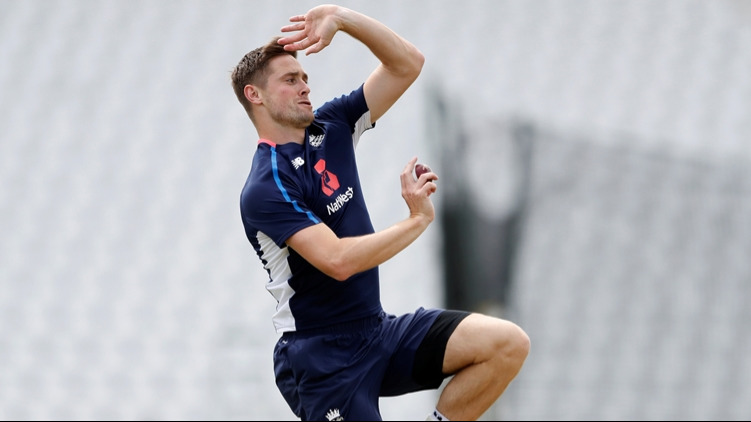 England openers knew that they had a great chance of pulling one back in the series and leveling it and went after the bowling in order to make as much as possible before the spinners came on. Roy took Umesh Yadav to the cleaners in the first over, scoring 14 runs with 2 fours and a six, but Umesh got him out for 15, clean bowled in his next over. England was starved of runs and despite Virat dropping him once off Umesh, Buttler went for the same shot two balls later and was caught this time for 14. Root was cleaned up by Chahal with a wrong one and England were 44/3 in the 7th over. Alex Hales was still present there and first with Eoin Morgan (17) and then with Jonny Bairstow took England to a very well planned win. Their ploy of neutralizing Kuldeep Yadav worked well, as they never gave him any wickets and when he strived for wickets, was hit out of the ground. India had scored a subpar total and when spinners picked up just one wicket amongst them, England had planned the chase very well. The third and final T20I of the series will be played at Bristol on July 8th, 2018.